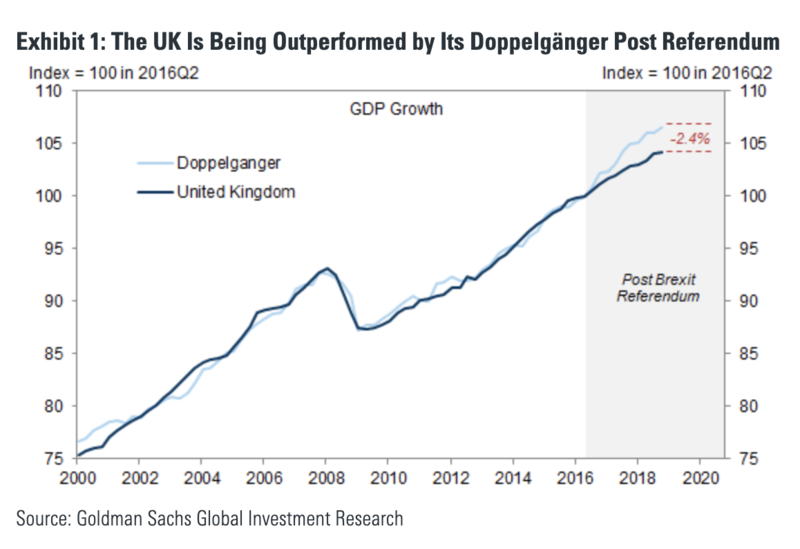 In his latest note published last week, SocGen’s Albert Edwards – never at a loss subjects that inspire his outrage – rages on the topic of Brexit, and specifically the often repeated assertion (discussed here as well), that post-Brexit referendum UK has lost 2% of its GDP output, or about £800m a week. Another reason why Brexit is largely meaningless despite resulting in countless, pound-moving newswire headlines each hour: the final outcome is clear – with Theresa May a remainer, and with both sides seeking to perpetuate the status quo by delaying and delaying and delaying some more until it appears that it’s the public’s desire to reverse the outcome of the 2016 referendum, it is just a matter of time before the entire idea of Brexit is scuttled. It was at that point that I realised the tech bubble was really getting out of hand (I have reproduced part of this weekly explaining what happened, at the end of this note).